The truth that Business exists because of Community and not the other way was recognized right at the inception of Tega in 1976. A deep enquiry within, a dream and passion to change the social significance of Education, Health, Environment and Employability created TEGA CSR. Further strengthening the tenets of providing lasting wear solutions, CSR is interwoven in finding long and sustaining solution to social needs of illiteracy, health and social development. Tega was the first and only Company 37 years back to provide Social Security to its workers. At the time when organizations did not give much emphasis to social responsibilities, for Tega, it was a matter of concern that the workers had very poor academic background which limited their growth opportunities and hence were a neglected lot. 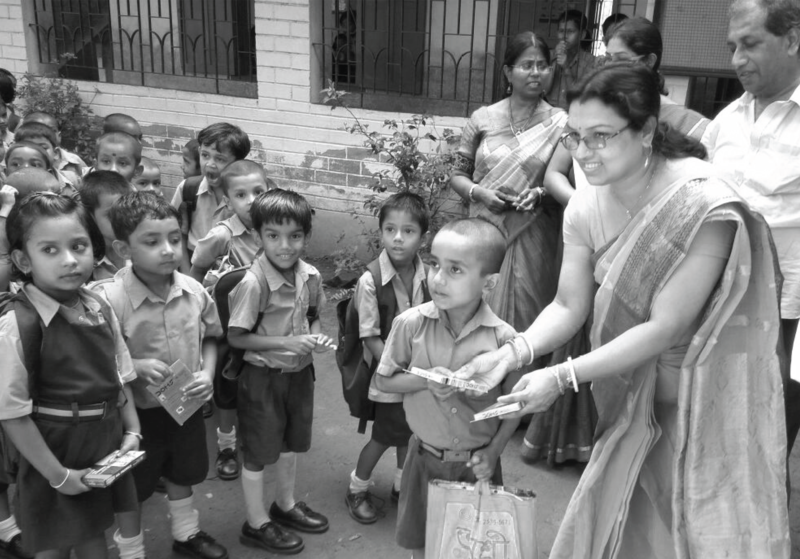 Bhavishya Aasha was born with a firm belief that financial barrier should be the least of barriers; empowerment through education – not about just achieving a degree – but ensuring the future of the children. This is a scheme to fulfill every parent’s dream, about their children’s education – not just primary education but an opportunity for holistic education. Under Bhavishya Aasha, a Summer Project to encourage children and trainee workers to improve Spoken English skills, the language being the most widely spoken, was initiated. Free camps are conducted by expert teachers during summer holidays for workers’ children and workers alike. AHEAD is a model school for mentally challenged and autistic children, located in the southern fringes of Kolkata city, supported by Tega Industries Ltd. Rendering regular financial support for its sustenance and growth, Chairman, his family and employees are associated with school for administrative support. The School has the best of facilities with highly skilled teachers to facilitate inclusion of children in Society. Without Education move ahead, acquire skills and be a Winner! The working class deserves to go beyond their predestined perimeters and have a right to education too. The unsung heroes working in the shop floor – very proficient in their jobs but lack formal education. To fill in the gap, TTITC was started for the socially deprived class of workmen who took up the profession of a workman as a survival strategy. Basics in English language, Mathematics and Science along with Technical Subjects are imparted in the daily classes. Lessons are directly related to their jobs. The objective is to provide them a grounding for reflection and to improve their skills, level of confidence and positive attitude. Tega CSR and Market Aligned Skill Training have successfully run job opportunities for thousands today. Providing space, funding teacher’s salary, infrastructure, computers and running of the school. The six week intensive training in English, Etiquette and Computers to prepare the youth to face interviews and get jobs. With tie-up with all major IT companies, the youth are groomed as per requirement of the organisation thus ensuring selection. 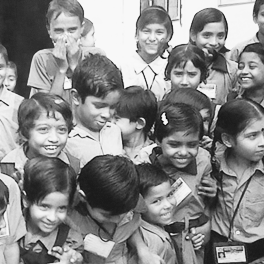 A major breakthrough for the underprivileged children at below poverty level, bringing smiles to hundreds of homes. To Protect and Preserve an engineering masterpiece called the Human Eye, Tega conducts the following activities. In collaboration with Susrut Eye Foundation and Research Centre Kolkata, Tega CSR holds Eye Camps every year to combat the challenge of eye disease and blindness. Free eye checkup and free glasses, free checkup for Cataract and free cataract operations are part of this programme. Quality eye care through medical advice, medicines and corrective and preventive measures save and preserve eye sight for several hundred, year after year. Tega CSR took over the first Integrated Village Development program with 54000 villagers in Duttapukur – northern suburbs of Kolkata from Rotary Club of Calcutta Metropolitan. Creating history of sorts, Tega became the first corporate to take responsibility for sustainability of three schools and villages. Under this umbrella are projects for development and sustenance of the villages with effective measures in the field of environment conservation, sanitation & development including implementation of Biodiversity and model Bio Village. A quick survey confirmed the plight of civil contract worker’s children – they are a neglected lot and have little hope for exposure to basics of education. By and large, they move about with their parents, unkept and aimless. This reality made Tega CSR start a school for construction workers children in the new Plant at Dahej, Gujarat. A classroom was set up within the premises and teachers were engaged. Under the clean surroundings, it was ensured that children wore clean clothes and shoes, provisioning of healthy meal and snacks along with elementary education. A Health Check- up Camp was held for immunization and health awareness for children and parents. Tega Group’s CSR initiatives are not limited to India alone, in South Africa for example, various initiatives undertaken are as below. Bursaries for HDSAs – 2 bursaries are offered to 2nd year University students in the engineering field. Contributions and Voluntary time spent – Section 18A NGOs, for example, old company furnitures are provided, employee time spent in painting a premise, serving soup etc. Coaching and mentoring of local SMEs – coaching SMEs on functions like bookkeeping, ER matters and so on. Offering SMEs support ranging from admin to financial – allowing SMEs to use Tega’s premises, electricity, water and so on. Early payment of invoices. Greenhouse projects – buying seeds, appointing specialist to analyse the soil, assisting the business owners in getting businesses from fruit and vegetable shops, and so on. The Company works closely with the Local Municipalities to capitalise on their Development Programmes as well as local township structures within which Tega operates.